In 2014, the BJP had won all the 26 Lok Sabha seats. The Congress has won the Lok Sabha constituency in the Saurashtra region only once in the last 28 years- in 2004. 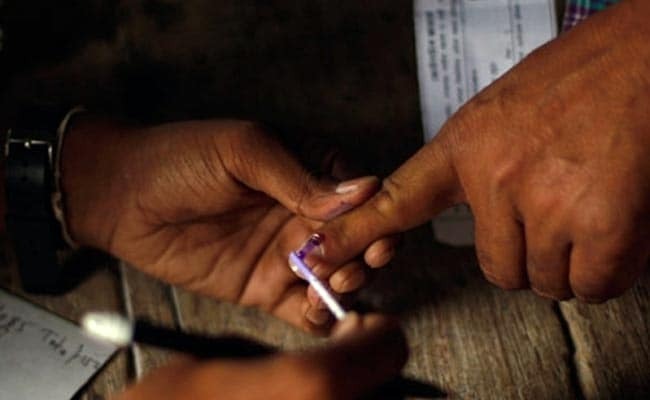 All the 26 Lok Sabha seats in Gujarat will have a single phase polling on April 23. The Junagadh Lok Sabha constituency in Gujarat has been a BJP bastion since 1991, but the party is not going to have it easy this time going by the results of the 2017 assembly polls. The BJP has renominated its sitting MP Rajesh Chudasama, who will take on Congress MLA Punja Vansh. The two were pitted against each other in 2014 also, with Mr Chudasama emerging the winner by a margin of over 1.35 lakh votes. Mr Chudasama seeks to improve the 2014 victory margin this time on the ground that he helped set up a civil hospital in Junagadh and set a long-planned ropeway project on the Mount Girnar on city's outskirts rolling. However, the Congress is expected to pose a stiff challenge to the BJP in Junagadh in the April 23 elections. In 2017, the Patidar reservation agitation, led by Hardik Patel, had played a key role in the Congress victory in all the seven assembly seats. He has now joined the Congress. Congress leaders said there is an "undercurrent" against PM Modi over his "failed" 2014 promises, which will help the party win this BJP bastion. "Votes of Patidars, the second dominant caste, will certainly go to the Congress," he said, adding it is likely that Koli votes will get divided between Mr Chudasama and Punja Vansh as both belong to the community.